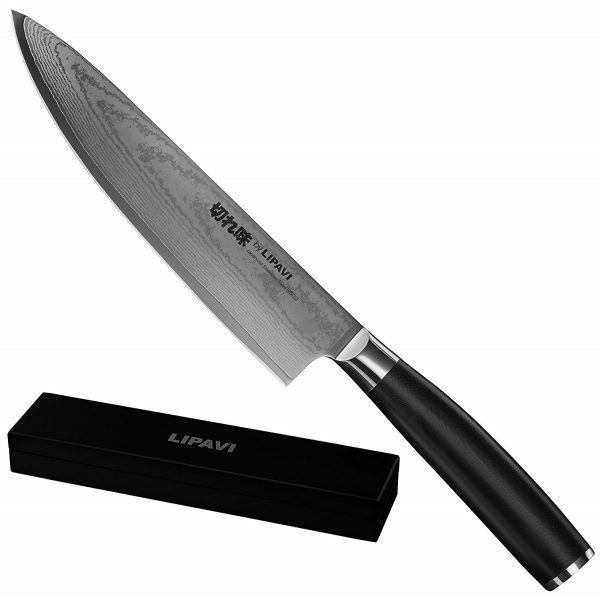 Handmade from Japanese Damascus Steel. Minimalist design with a contemporary Scandinavian influence. Ergonomic handle that follows the contour of your hand. Comes in a luxurious, hinged wooden box.